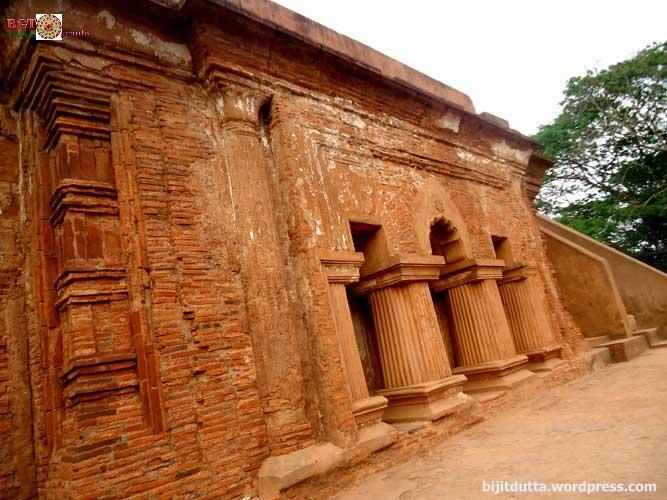 Kareng Ghar is the remains of royal palace of Ahom kings when Gargaon was their kingdom’s capital. 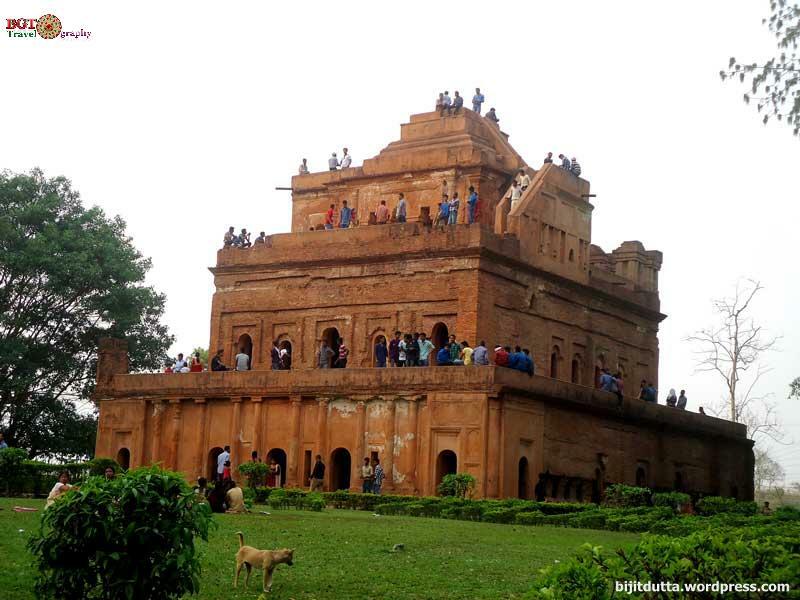 Gargaon was the principal seat of the Ahoms for more than four centuries.Suklengmung, the 15th Ahom king established the capital at Garhgoan and constructed a palace with wood and other impermanent material in the year 1540 AD. 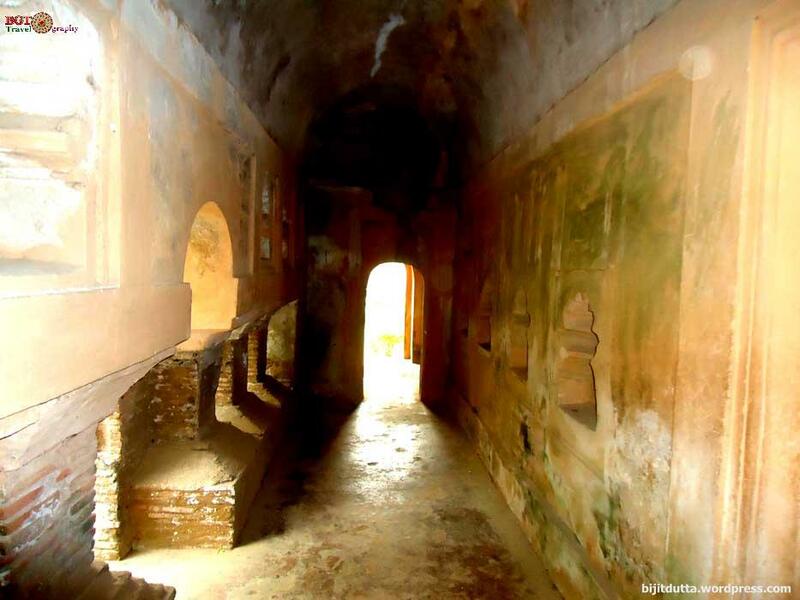 Later, king Pramatta Singha constructed a brick wall and masonry gateway in the capital complex. 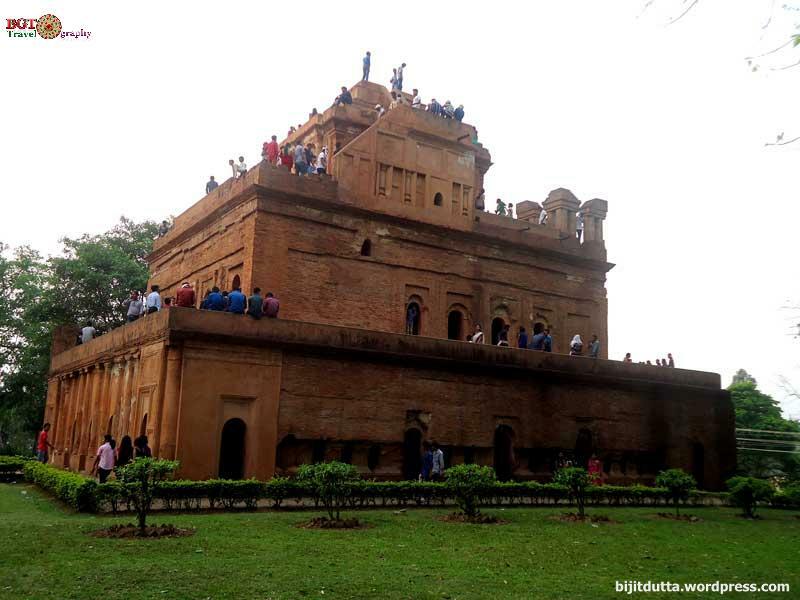 The present multistoried edifice was built by king Rajeswar Singha in 1752 AD. The monument is four- storied building and arranged in gradually receding tiers. 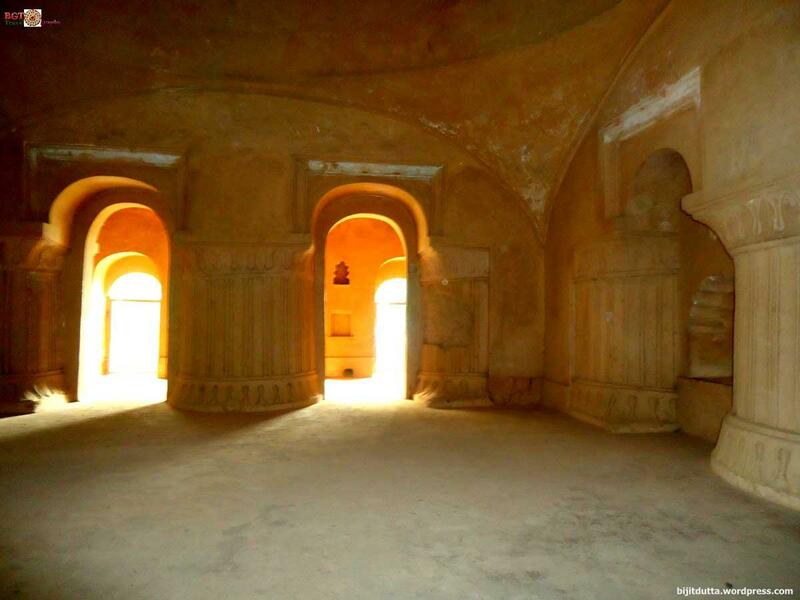 The top floor has dome like roof with a chamber. It had four watch towers originally of which now only two can be seen. The ground floor has three west facing halls and provided with a front and rear chamber. 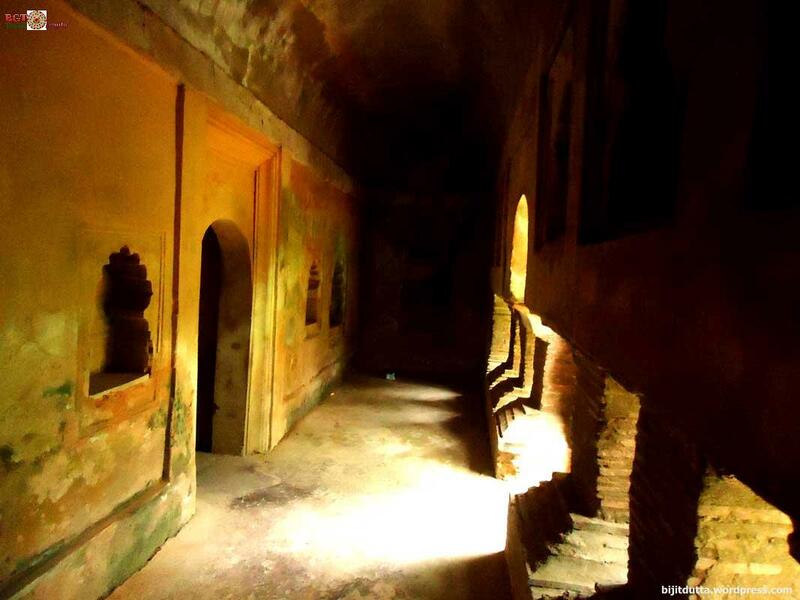 The palace was well secured by digging canals around it and then building fort like walls on the canals bank with soil, which is called ‘Garh’. The place was named as Gargaon after the huge ‘garh’. 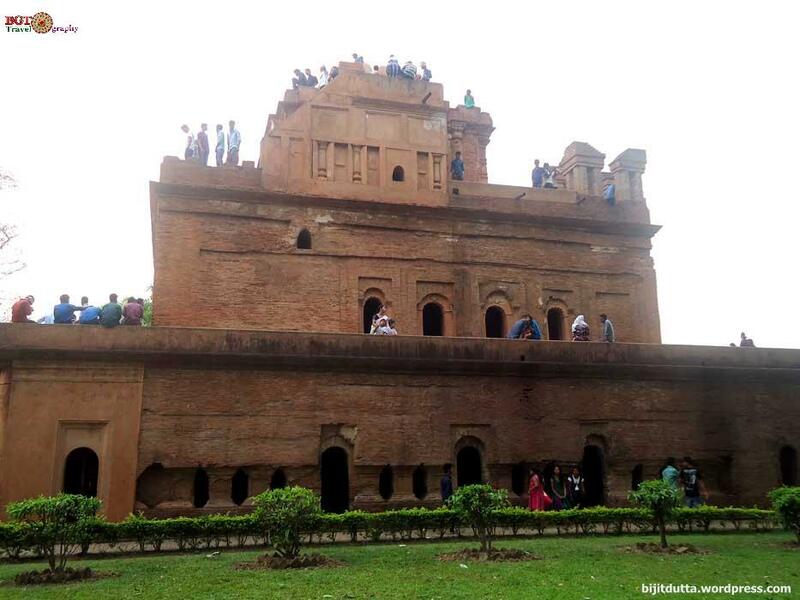 There were four main gates to the palace called as ‘Singhduar'(Lion’s Gate).There believed to be a secret underground tunnel from Kareng Ghar to ‘Talatal Ghar’ in Rangpur which is many kilometers away from this and across the Dikhow river. 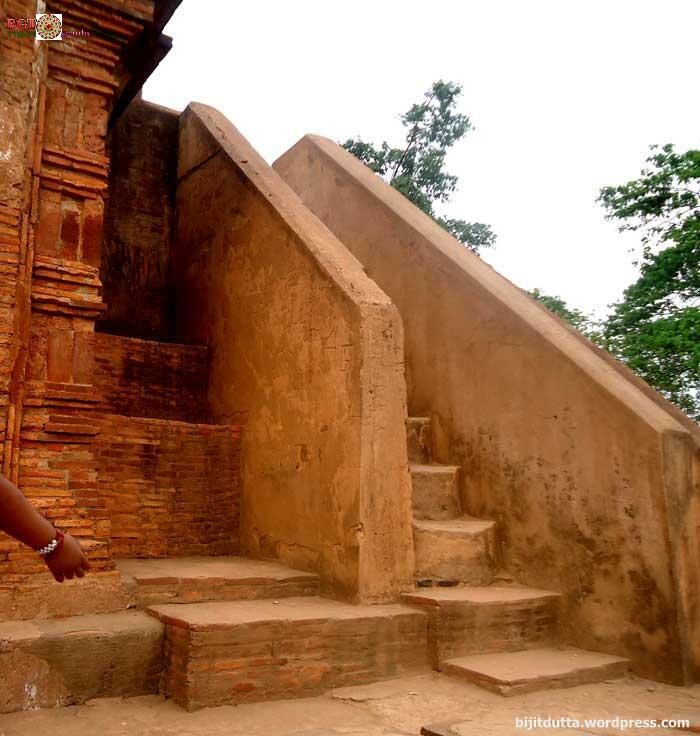 The plethora of architectural heritage dating back to the Ahom reign could be Assam’s claimant for a World Heritage Site tag. 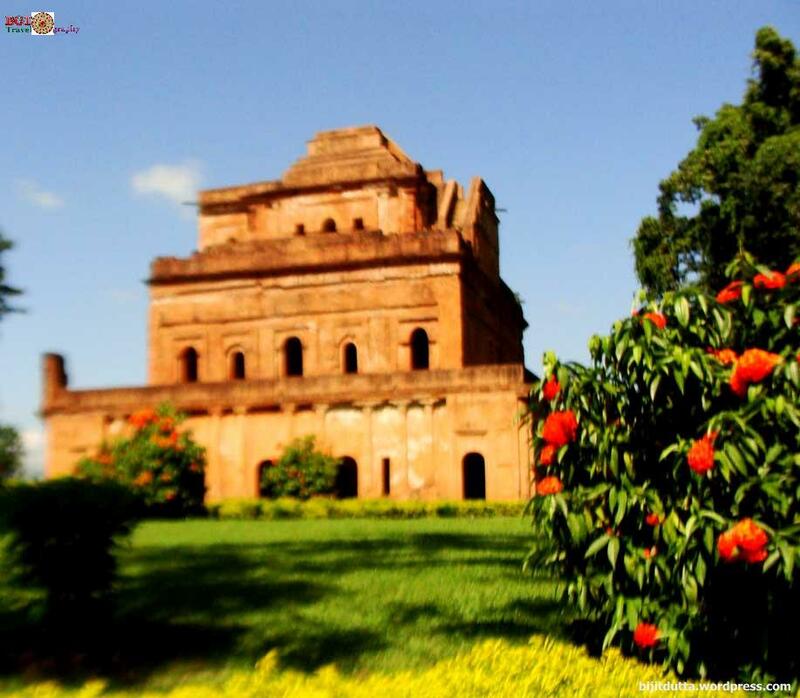 The group of monuments spread over Sivasagar district bears testimony to the rich heritage of the Ahom kingdom. 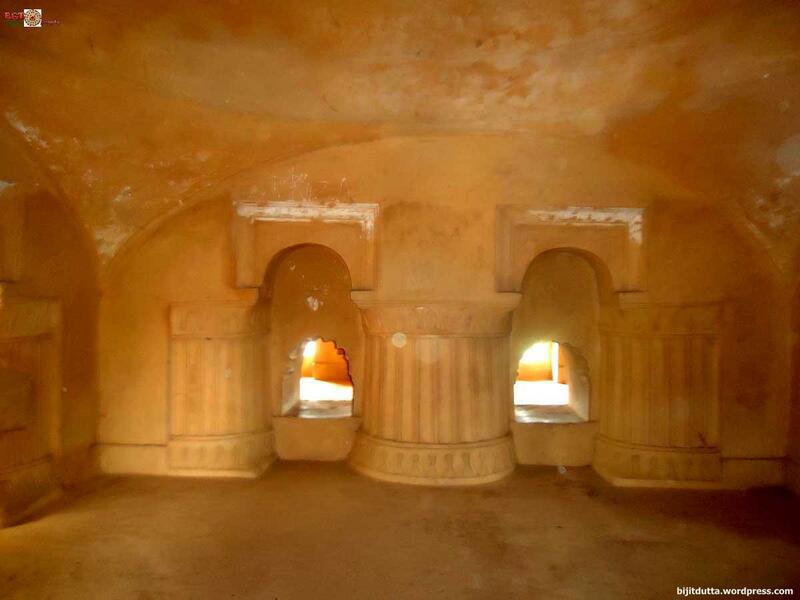 There are no parallels in the country like the Ahom monuments.